York, PA, also called the White Rose City, is a welcoming community known for its factories, historic landmarks, and scenic landscapes. The city is home to over 43,000 residents, and the area was first established in 1741. The culture and architecture in York date back several centuries, drawing crowds from around the region. Sometimes called an “architectural museum,” York has several historic structures to visit. This includes the 1741 Golden Plough Tavern, the 1751 General Horatio Gates House, and the 1766 York Meetinghouse. There are almost too many historic buildings to list at once. York is home to four distinct districts: the Fairmont Historic District, Northwest York Historic District, Springdale Historic District, and York Historic District. In fact, many consider York the first capital of the United States. The annual National Street Rod Association gathering is held every year for several days in June, the largest annual street rod event in the Eastern US. You’ll see a parade as well as thousands of street rods lining the street, showcasing some truly classic designs. Belmont is a historic location that has hosted several events, and the cities other theatres have hosted people like Kenny G, Bill Cosby, BB King, and George Carlin. The Belmont is one of the most well-known, and it was founded in 1933 as part of the Little Theatre movement. It now serves as the home of the Elmwood Theatre. York is home to stunning architecture, great events, and fine arts—what more could you want? York is one of the most important cities in American history, and it’s easy to fall in love on your first visit. 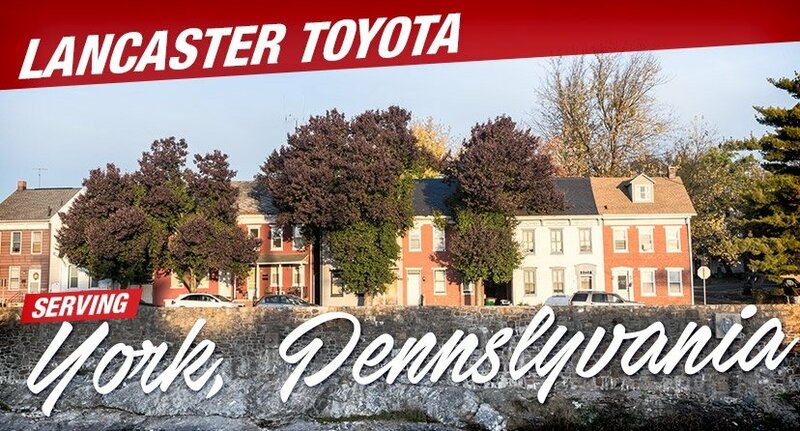 At Lancaster Toyota we’re proud to serve the area. Whether you’re looking for a new car or you simply need your vehicle serviced, Lancaster Toyota is the place to visit.